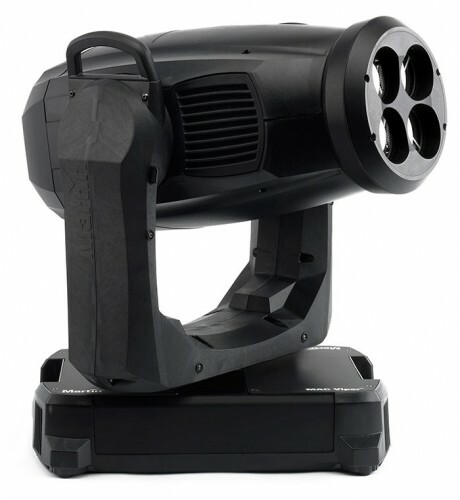 As Harman’s Martin continues to provide the brightest and most reliable professional lighting equipment to the industry, it’s new MAC Viper Quadray has been officially launched, adding to Martin’s award-winning MAC Viper Family of moving heads. This unique, multi-beam luminaire has been deployed on international tours, including the Sarah Brightman tour with lighting design by Andi Watson, and Pitbull with lighting design by Justin Geiger. The MAC Viper Quadray houses a narrow-range zoom and includes the same high-quality feature set as the MAC Viper AirFX, including a vibrant colour mixing system and stunning aerial designs. Additionally, it features the same compact form, impressive speed and superior light quality from the MAC Viper Family’s 1kW lamp. The MAC Viper Quadray is available as an easy to install front lens replacement kit for any standard MAC Viper AirFX. The lens kit installs (and uninstalls) quickly, providing flexibility of use and greater value from a single luminaire.